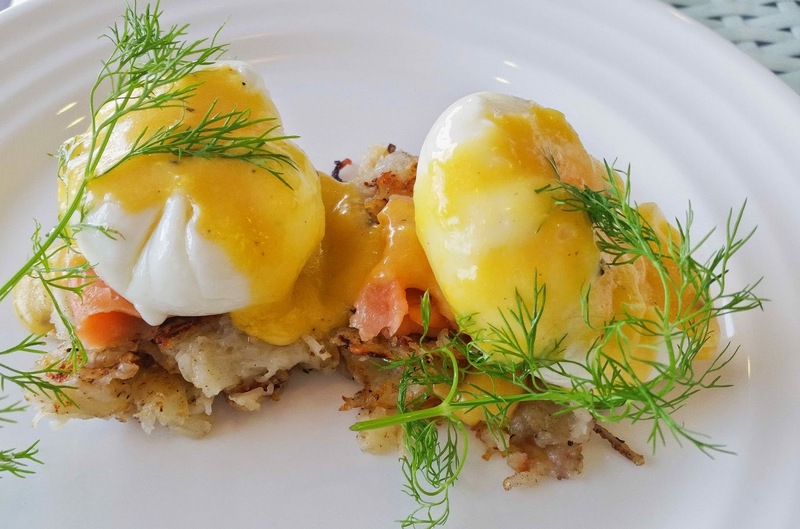 Egg Benedict has two poached eggs placed on a bed of muffins with a layer of chicken ham in between. Normally this dish has pork ham, but here chicken ham has been used. Covered with egg yolk based Hollandaise, the presentation of the dish looks very inviting even though a porkaholic like me would love the real thing. The vegetarian version Egg Florentine has spinach in lieu of chicken ham, whereas the seafood Egg Royale had smoked salmon and hash brown (in lieu of the muffins). Prices for the variants range from Rs 135 to Rs 175 depending on the versions chosen. 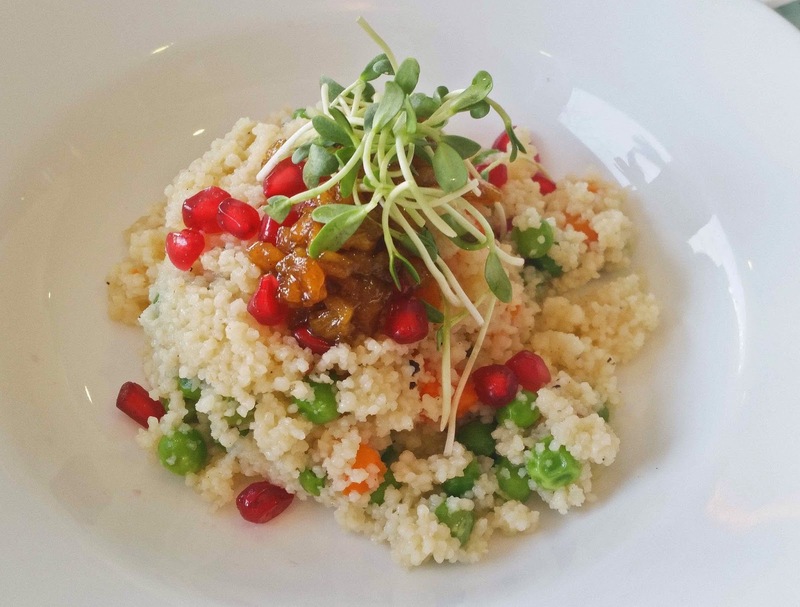 The second item I particularly liked here was Couscous Upma – incorporating couscous, the healthy and nutritious carb from North Africa. The upma had peas, pomegranates, and carrots. It was garnished by fruit compote and fresh methi leaves on top. Priced at Rs 165 this can be a breakfast by itself. The menu also offers many other interesting items including Apple and Banana Muesli, Spinach and Mushroom Fritata as well as Granola Parfait.